Have fun with this simple craft, and help your kids kick off another great school year! 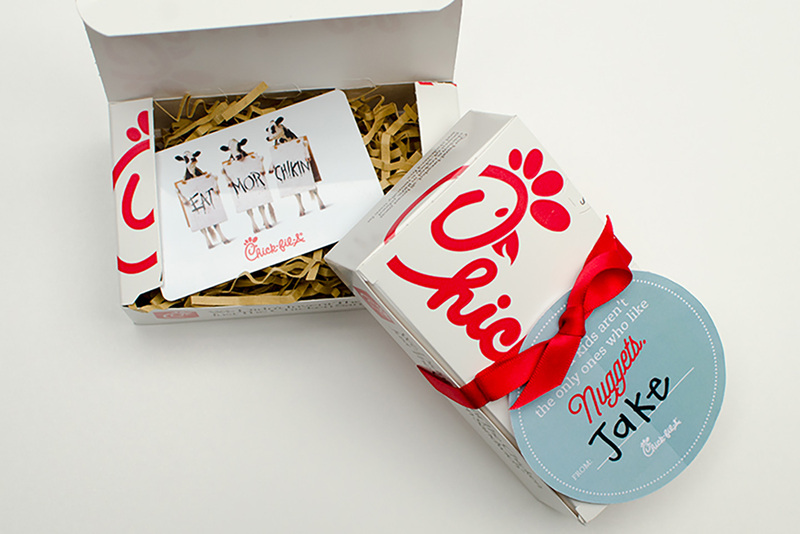 Purchase a Chick-Fil-A gift card, and request an empty nugget box, too. Print and cut our tags below and have your child sign. Punch a hole in the tag, thread a ribbon through, and your back to school gift is ready to meet the teacher. 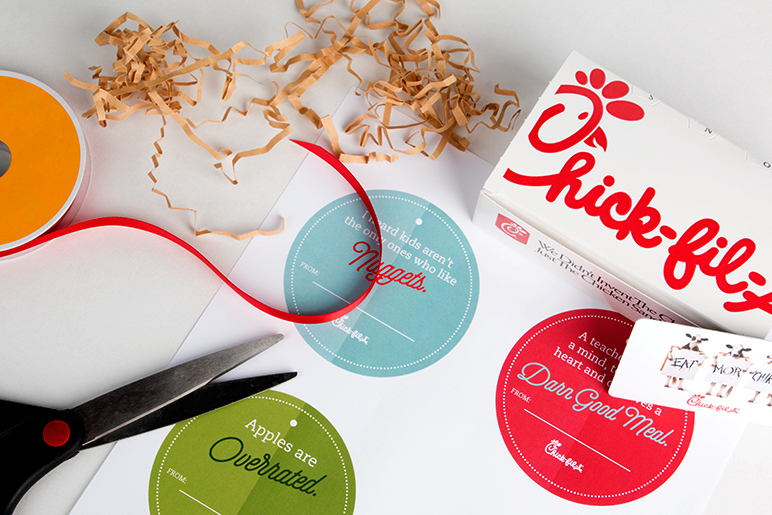 Click here to print our gift tags.